After centuries of war and strife, seven great nations arose to enter an uneasy peace. Humanity was once again rebuilding, with science blossoming and new discoveries heralding a true renaissance. ... and God’s plan for Man was made manifest. Those that walked the Earth with a righteous spirit and clean souls were taken into the loving arms of the Lord. Those who skulked with the devil, ignoring God’s divine laws, were cast aside to face the horrors awaiting all sinners. As promised, the Earth burned. The clouds evaporated. The rule of man, of reason and science, came to an end. In man’s arrogance, he had built ladders to the very heavens themselves, scattering the spark of humanity among the stars. These far flung few who remain, forgotten by God, or perhaps given a second chance, now face a future where good and evil have come into sharp relief; where science has proven to be a false idol, yet one that is vital for survival. With communications between colonies severed, no one knows for sure what has befallen humanity. The isolated pockets of human colonists are returning to the old ways – political squabbling, superstition and factional infighting are on the rise. As a tide of distrust rises among the survivors, inexplicable horrors are emerging. 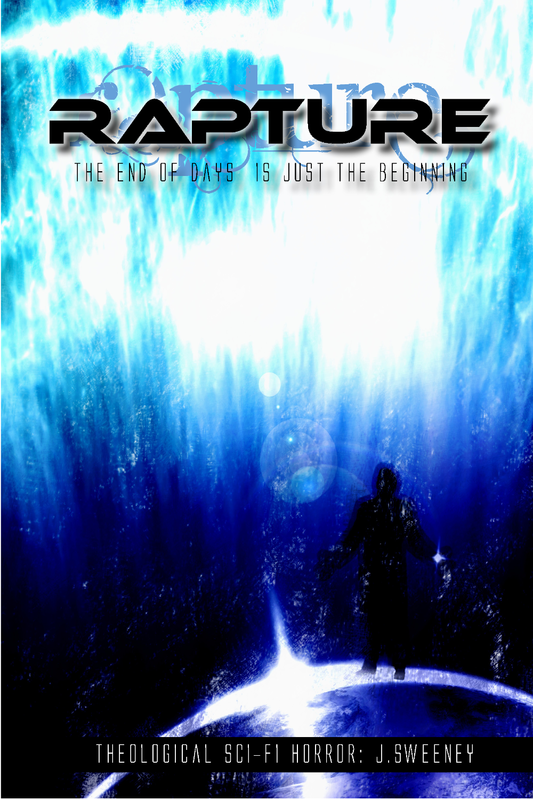 Rapture, The End Of Days, is first and foremost a role-playing game of temptation, politics, horror and sacrifice. Rapture also leans strongly towards the narrative style of role-playing games: it focuses on story, characters and plot over game mechanics. Its rules reflect these two facts. Gamers who play up their mortal hero’s flaws and sacrifice them in honest, true and dramatic ways in the quest for redemption are rewarded. Unlike most role-playing games, combat (or any other situation) is not resolved using a blow-by-blow mechanism. Instead a holistic dice roll is used to resolve big chunks combat, often involving multiple participants. This is partly because many of the battles involve dozens, if not legions, of characters, but also because we wanted to keep Rapture focused on characters and plot. How you narrate the results of such battles is what makes this approach work. Provide your details to download heaps of FREE Rapture content, including character sheets, sci-fi maps, extra tracking forms, and audio tracks! 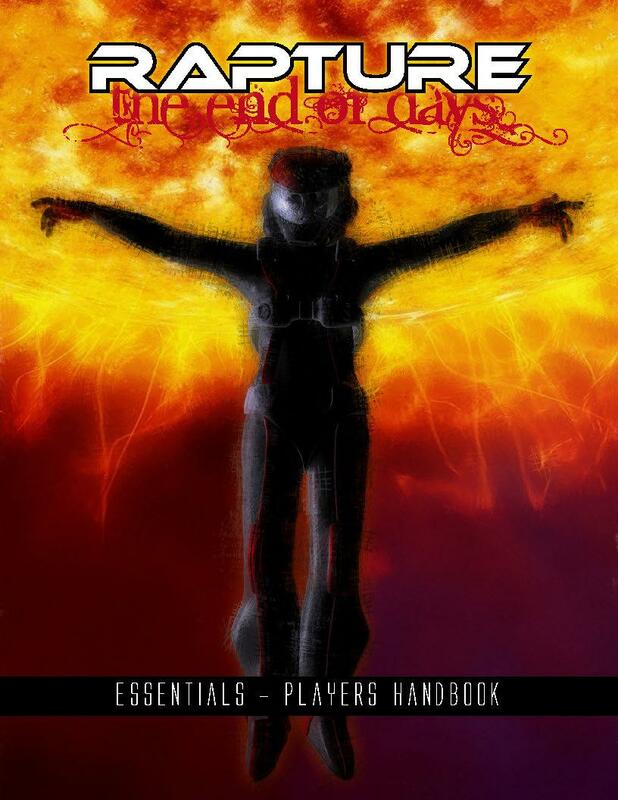 PDF + 3 FREE ESSENTIAL PLAYER GUIDES! 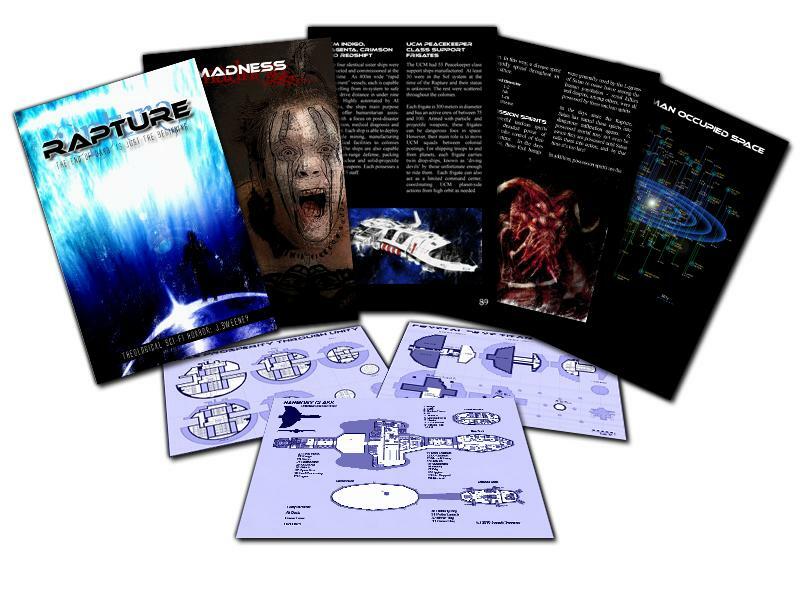 Buy Rapture Core Rules in PDF and we'll send three of your friends copies of the Rapture Essentials Printable Handbooks for FREE! 112 stunning pages of hard science fiction and dark, cinematic horror. 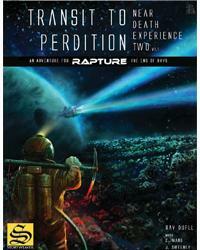 Everything you need to survive the technological horror of Rapture... in one handy, printable PDF booklet! You've heard the old miner's tales about Perdition, the sister world of our lovely colony, Confucius, right? Well, if what you heard sounded bad, then it's most likely true. So why would anyone want to go there? This adventure packs on the fear with a scientifically terrifying adventure set in a lab on the toxic world of Perdition. Not only do you get the adventure, but also BONUS maps, player handouts and over 80MB of terrifying transmedia audio files! Take your tabletop terror to the next level. Its existence was secret. Its purpose even more so. Skimming a low orbit of a gas giant, shrouded behind rings of ice and rock, hides a Happy Cat research station. Just who is responsible for this habitat, and why it was never disclosed to the United Colonial Marines is a mystery. Includes over 60MB of background mood audio and SOS messages! So there you are, sitting round the gaming table playing the latest creep infested session of Rapture: The End of Days that your GM has dreamed up for you and your roleplaying group, and you flub your roll and your character bites the big one. You narrate your character's death scene with all the aplomb and heart string tugging you can muster, and you get that all important vote that gets you another stat point for your new character. Great. Now you check the remaining pool of extras, and it's thinned rather heavily. You take a character profile that you hadn't considered playing before, and you are stuck for suitable Personal or Factional Goals, Redemption Task or your GM is shy one Political Instruction. No problemo! 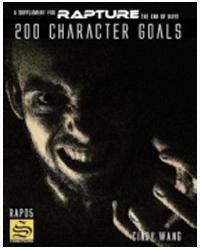 With this supplement, 200 Character Goals for Rapture, inspiration is close at hand. Cindy Wang has taken up the thinkers pose and done the hard yards for you, coming up with no less than 200 varied goals, instruction and tasks to get your character fleshed out quickly and get you back into the game. And even if you can't find the exact one you want, you're likely to find one that gives you the spark of inspiration to get it worked out. This is a resource that good Rapture GM's will want on their table to keep the murder and mayhem flowing fast.